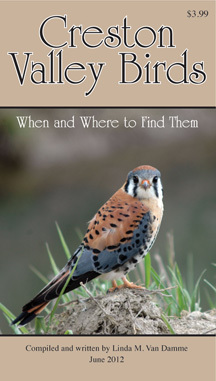 Creston Valley Birds - When and Where to Find Them. 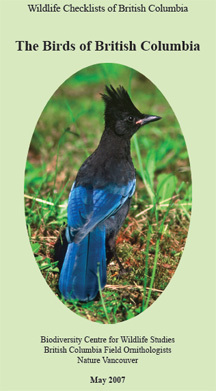 This 35-page pocket-size booklet, written and compiled by Linda Van Damme, is complete with a colour fold-out map and a comprehensive bar graph and breeding status for 303 bird species. 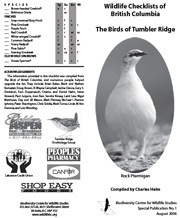 It features directions to 9 of the most popular bird watching sites in the valley and has 21 black and white photos. Retails for $3.99 and is available at the following outlets.